A few folks have asked about the Release "Time Fades Away" Petition and it's been awhile so here's the latest. Earlier this week, we crossed over the 3,000th signature milestone! It's been about six months since the petition started and while the signature rate has dropped, it remains steady with new signatures coming in every day. "It is time to release Neil's entire catalog. He is Reprise Records greatest artist, surpassing Frank Sinatra and Jimi Hendrix." "I am guilty of recording a friends vinyl and putting it on CD. I would like to buy a real one. Yonder stands a sinner." "For a very long time now, I have believed there is a rare breed of individuals in this world who have come down through the ages, and who are people who just "know". 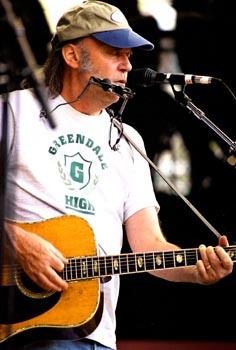 Neil Young is one of them. The rest of us are fortunate to able to have our lives touched by his music, his lyrics and his thoughts on life as he experiences it. He will always be right up there. It gives me great pleasure to sign this petition." 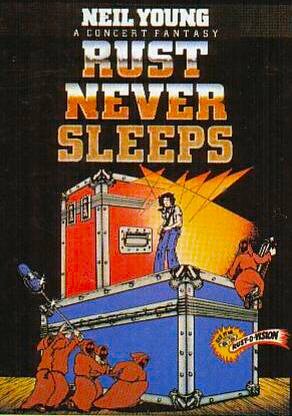 "This spooky album took me from the folk hippie electric sound to the raw metal edge- Neil's best live album. Reminds me of when as a teenager you found yourself in a stadium full of dosed adults and things were definitely on edge." "A man needs a maid ----I needs Time Fades Away CD"
"I have lot of memories from this album. I was 19 when it was released and it was a wild time in my life with lot of partys, peace love and understanding, sitting in a park outside Stockholm playing guitar and drinking beer. I remember when I learned to play Don´t be denied. My vinyl is since long gone and I have collected all Neils albums on CD. I miss this one." "I am 17 and have listened to Neil with my parents all my life, I play guitar because of him and understand life way beyond my years because of him. I would never have picked up a guitar if it weren't for him." "I bought this record sometime in 87-88 in a bin at my hometown headshop, and having just heard and really absorbed on the beach, I thought it was the best live record I ever heard. Bitter and sad and lonely, a lot like I felt at the time. It helped me. I think it should be out there for everybody to hear." "I heard this once thru in 1974. There is an awesome howling tortured beauty to it. It's a genius in pain." played for probably the last ten years) is that the sound quality was a bit murky. A clean digital remastering would be mighty refreshing. Please forget the payday, for a second. The fans who have purchased record albums, CDs, and concert tix for Neil these past thirty-five years would really appreciate this a lot. Thanks, Neil!" 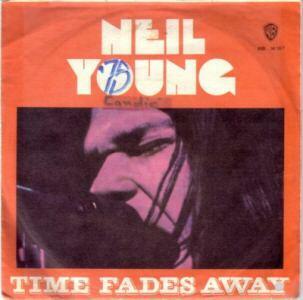 "I once had a vinyl of "Time Fades Away" that took me years to find. My roommate in college knocked over a shelf and smashed all of my Missing 6...a very painful day (December 3, 1997...but who's keeping track?). I have a bootleg CD of TFA, but I'd be glad to give my money to Neil and feel guiltless listening to "LA" and "Journey..."
"When I stumbled upon this petition site while TAB searching for "Going Back", I thought of the "After The Gold Rush" album. How influencial that album to me while becoming a teen-ager. To this day I still got most of your albums in vinyl. I still listens to them! Why I'm anxious to hear "Time Fades Away"? I don't know? But I think a lot people out there feels the same way. You have no idea how important your music to us." "What would Sun Green do? Or Grandpa?" Your work is unlike any other artist in the music industry. No one compares to your integrity, your honesty and your musical ability. Hell - your lyrics are awesome as well ! Time Fades Away is one of the rawest and purely entertaining albums I've ever heard. Please re-release it. It's a diamond in the rough, waiting to be heard by many of today's younger listeners. Please keep rocking." "This is one your top artistic statements ever. Please release it. Art is about pain sometimes, and this is as raw a statement on that subject as I've ever seen." 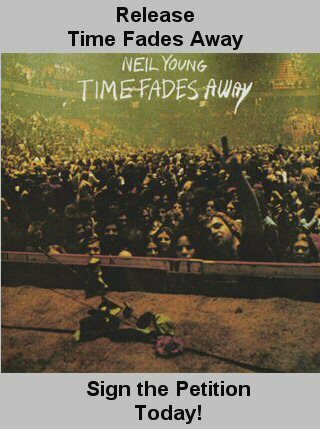 "I love this Neil Young album and would dearly like to see it re-released. Mind you, despite a 15 year gap since last playing the vinyl version, (still unpacked though 3 house moves) it still exists perfectly in my head. Endless listening to and playing with on guitar has ingrained it. So, in actual fact, I don't need it re-released.